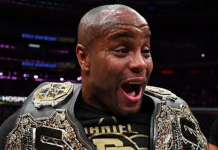 The lingering fallout from the officially—or, technically unofficially—announced fight between two-division UFC champion Daniel Cormier and former WWE and UFC heavyweight champion Brock Lesnar has brought about a mixed bag of pandemonium within the MMA community. Some fans have completely bought into the crossover feud and Lesnar’s immense marketability in the combat sports world. Others see it as a rehearsed and inauthentic ploy at a quick cash grab for a future pay-per-view card. 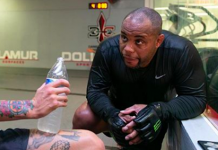 Cormier, who posted a series of tweets on Sunday during Lesnar’s WWE title match against Roman Reigns at Summerslam, is obviously wearing a marketing hat for the upcoming fight. Forget about his two fights with Jon Jones, which didn’t even crack the top-10 of the UFC’s highest grossing pay-per-views. 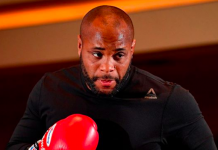 For all of the manufactured pre-fight drama that is sure to follow, a UFC title bout with Lesnar would be the biggest fight of Cormier’s career. By the end of the year, assuming the fight comes together, fans will slowly start to come around to the UFC’s direction. Even the stubborn holdouts will quietly click the buy button on their remotes to partake in the ensuing spectacle that will likely dominate sports headlines. There is no such thing as fair in the combat sports realm—a place where real competition walks hand-in-hand with sports entertainment. If such were the case, Stipe Miocic, the most successful heavyweight champion in UFC history, would have already been scheduled for an immediate title rematch. Yet, he’s sitting on the sidelines waiting for his next move after abruptly being pushed to the side for a more marketable fight. 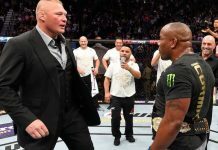 The proposed clash between Cormier and Lesnar is ALL about entertainment, and there are few things on this planet fight fans love more than a good spectacle. Conor McGregor jumping into the world of professional boxing for a pipe dream fight with Floyd Mayweather Jr. was one of the biggest pay-per-view events of all time. Eight years ago, the UFC promoted a fight between MMA legend Randy Couture and former boxing world champion James Toney in the co-main event of UFC 118. Bellator has broken ratings records on Spike TV with bouts featuring the late Kimbo Slice, Ken Shamrock and DaDa 5000. From strictly a fan’s perspective, there is much more to fighting than just punching people. 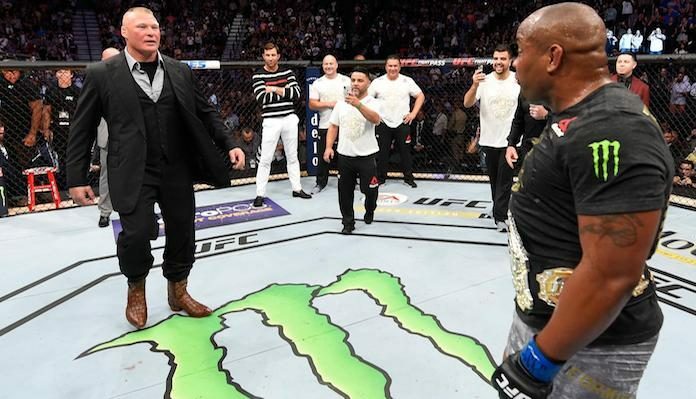 Whether it’s Lesnar’s freakish physical stature or the fact that he’s the only WWE champion to ever win a UFC title, there is something there that remains alluring and captivating. There’s a reason why he can lose back-to-back fights, take five years off and compete in the co-main event of a UFC 200 fight card that still stands as one of the company’s top-selling pay-per-view events. 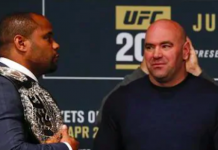 The same thing will happen once the promotion for the fight with Daniel Cormier begins. Any inclination of the real reason why the fight ever came together in the first place will go out the window, as millions tune in and the event climbs the pay-per-view records chart. It’s the infallible formula for success in the pay-per-view business. A formula showing no signs of slowing down any time soon.